You may have heard that your son or daughter needs to “hit rock bottom” or “has to want help,” in order to get better. And therefore any attempts to otherwise convince him or her to enter treatment is wasted breath. The fact of the matter is our loved ones are often interested in getting help — but we may not always know what to listen for. If your loved one expresses even a little willingness to engage with treatment — whether it’s a consultation, attending an AA or NA meeting, or going to more intensive programs — it can be all the invitation you need to begin the conversation. While the hope is that your loved one will readily and quickly agree to treatment, don’t despair if he or she says no or wants to think about it. There will inevitably be other opportunities to raise the subject again. Managing your expectations around engaging and staying in treatment are a part of good self-care. Note: It’s important to do your homework before suggesting treatment so that you know what programs are suitable, have openings and what means of payment will be accepted. So, how does a willingness to get help reveal itself? It usually comes in the form of “change talk.” Change talk is any time your loved one voices a concern over the way things are, or expresses a desire to improve his or her life in some way. Do any of these examples of change talk sound familiar? When a loved one expresses change talk, take notice and help him or her connect the dots. Compassionately explain how their substance use is related to their concerns in the present and their hopes for a better future. Consider the following contrasting dialogues between a parent (P) and young adult (YA) who is struggling with substance use, can’t get a job and wants to be independent. YA: I really want to move out and have my own place. P: How many times have I heard that? You need to get a decent job. YA: Yeah, I know, but no one’s hiring. P: You mean no one is hiring that doesn’t want a drug screen. When are you going to figure out that employers don’t want stoners? If you’d only get your act together and stop smoking, your life would be so much better. You know, you really ought to go to rehab. YA: That’s ridiculous! It’s not that bad. P: Not that bad? You’re stoned right now. You’d better figure it out pretty soon because your father isn’t going to put up with you not contributing and you’re going to find yourself out on your ear. YA: I have to go. There’s no point in talking to you about anything. Now consider the following exchange which begins with very similar change talk. P: I know you’ve wanted your own place for quite some time. What do you think is holding you back? YA: I can’t get a decent job that pays enough. P: What have employers told you when you’ve applied? YA: They all want drug screens. That’s BS in my opinion. I mean why should they care that I smoke some weed and do a little cocaine now and then. P: So, you want a good job and your goal is to move out, but your drug use is getting in the way. YA: Yeah, that about sums it up. P: What are your thoughts about getting a consultation to see what kind of help might be available to cut back, or quit for at least a while so that you can get a better job? YA: I don’t know… maybe. P: Why don’t you think about it and let’s talk about it again in a day or so. What can we take away from these conversations? There are several key differences to note. The second exchange remains a respectful conversation without becoming confrontational by using techniques like open-ended questions that lead the young adult to reach his or her own conclusions. The parent likely knows that drug use is at the root of their child’s unemployment, but draws it out of him or her without belittling or judgment. And the timing of this kind of conversation is important. While it’s useful to let a loved one’s change talk open the door to this type of conversation, it’s counterproductive to do so when they’re under the influence, racing out the door, overly tired or might otherwise feel interrupted. In addition, even though abstinence may be the ultimate goal, it can also be effective to suggest that a loved one consider treatment in order to “cut back” on substance use. Once in treatment, they’ll have an opportunity to examine whether they can moderate and still meet personal goals. Leverage usually involves taking something of value away. For example: “If you don’t go to treatment, we won’t cover any more of your expenses like tuition or rent.” Sometimes leverage takes the form of disclosing substance use to someone of significance including a probation officer, coach or significant other. Choosing to use leverage in this way should be done as a last resort and with caution, as often loved ones will react defiantly, and the situation could get worse. It helps to present any leverage in a loving way and to give your teen or young adult a week or two to think about it before going through with whatever you’ve decided. Intervening — that is, stepping in and speaking up — is a vital first step in taking action to address a loved one’s substance use. However, media and pop culture have popularized the notion of an intervention as a scenario in which family and friends gather around a loved one to share the impact of the loved one’s substance misuse, usually followed by an ultimatum: go to treatment or else. The “or else” can include cutting the loved one off financially, asking him or her to leave the home and cutting off all communication unless the loved one agrees to treatment. The success rate of this style of intervention is lower than using other evidence-based approaches like Community Reinforcement and Family Training (CRAFT), and claims to the contrary are generally limited to getting someone into treatment, with no measures related to the successful completion of treatment. If there is a danger to self or others as defined by the courts, civil commitment laws can be invoked to mandate treatment. In the U.S., 38 states have laws that permit civil commitment to inpatient or outpatient substance-abuse treatment programs. An additional eight states have a form of involuntary treatment, such as emergency hospitalization due to substance-related concerns. The commitment process varies from state to state, so it’s important to look into what specifically is required for mandated treatment. Helping a loved one reach the point of being willing and ready to engage in treatment is an important milestone. Keep in mind there is no one-size-fits-all approach. Getting the right treatment for your child is a process, and navigating the current systems in place requires due diligence and perseverance. 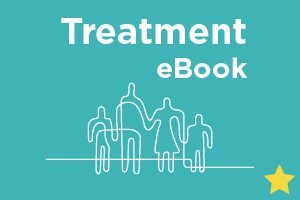 Sign up for text messages on ways to help your child, including suggesting treatment.